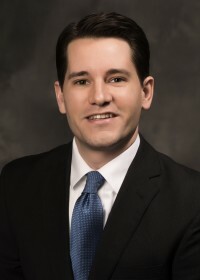 Adam Castagno - St. Louis Equity Fund, Inc.
Adam Castagno joined St. Louis Equity Fund in October 2015 and is the Vice President – Asset Management. Adam is primarily responsible for analyzing the financial performance of SLEFI’s affordable housing and historic preservation investments and reporting the portfolio’s results to investors. He will also coordinate the acquisition, underwriting, and closing of new affordable housing and historic preservation tax credit investments. Prior to joining SLEFI, Adam most recently worked at Midwest BankCentre as Assistant Vice President – Commercial Services. There he managed the Bank’s corporate loan portfolio and direct LIHTC investments, including the underwriting and closing of new loans and investments. Adam received his Bachelor of Business Administration with a concentration in Finance from Emory University’s Goizueta Business School in 2007.